This year I've promised myself to celebrate more of the everyday. Pulling out the celebration banner and acknowledging small moments. I wanted to share my love of spring with some special people in our lives. 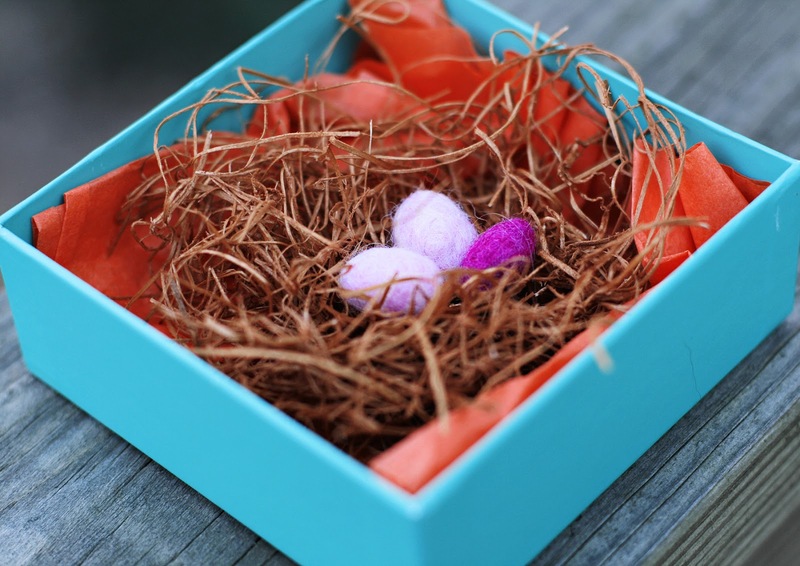 I made these little birds nest out of leftover grass from our wedding centerpieces and felted small, pink eggs. Each family that received a box has the appropriate number of eggs per children in their family. 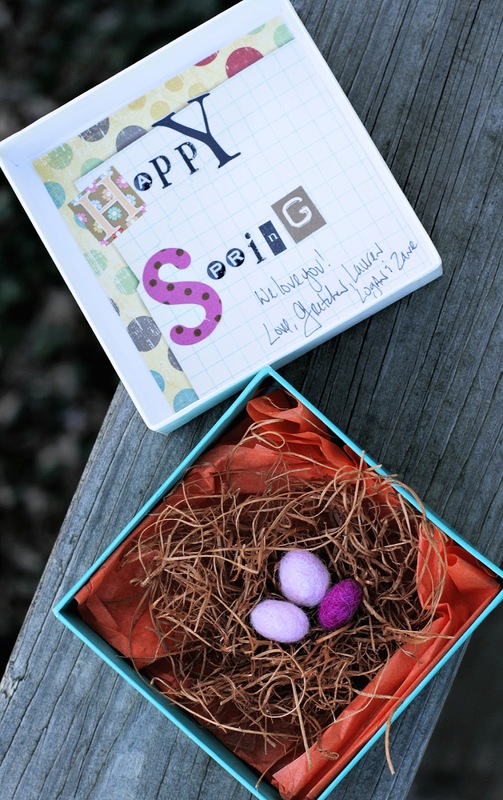 On the inside of the box lid I used leftover scrapbooking paper and stickers to write the message "Happy Spring", which means each box lid is different. It's just a small gesture to let the people I love know that I am thinking of them.